The new revalidation process was introduced following a recommendation in the 2013 Francis Report, and has, so far, been hailed as a great success. Following completion of the module, you will receive an e-certificate, as well as information for completing the revalidation process. 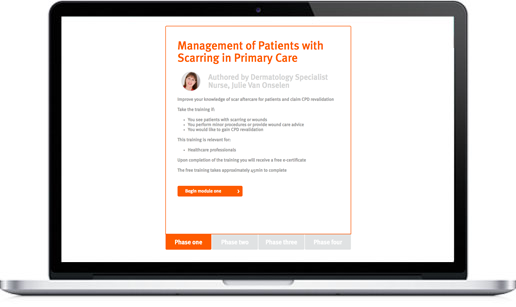 All primary care healthcare professionals who may come into contact with patients with new or old scar tissue.